On September 11, 2018, Charvak Mandal and Sociology Association jointly organised a talk on “Understanding Gender”. 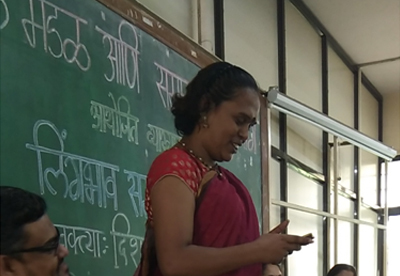 The speaker was social activist and poet Ms. Disha Pinky Shaikh, who spoke on various issues of LGBTQ community in India. Ms. Shaikh also expressed her views on the Supreme Court's historic judgement regarding article 377 and appealed to society to change its attitude towards the LGBTQ community. The lecture was followed by an interactive session and ended with Ms. Shaikh reading out one of her poems. 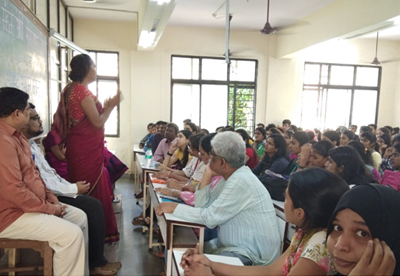 Principal Dr.Matkar, members of theTeaching Staff and Students attended the talk. The response of the Students was overwhelming.